If many family generations choose our city is because they feel at home. Our tourist tradition is linked to those people who want actitivites, facilities and services for all ages. Nowadays, we are known for what we can offer. 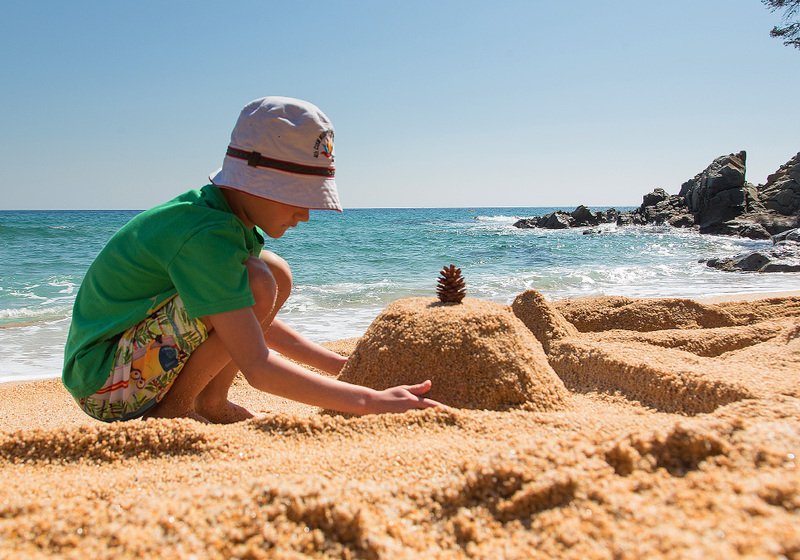 Blanes was the first city on the Costa Brava to obtein the Family Tourism Destination Certificate. 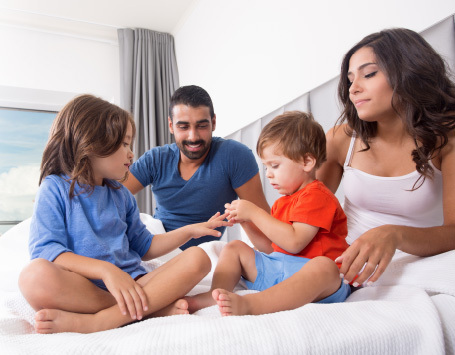 Our visitors can confirm our high-quality services and wide variety of leisure and cultural activities, beaches… You can find here whatever you need to enjoy some real holiday time with family. 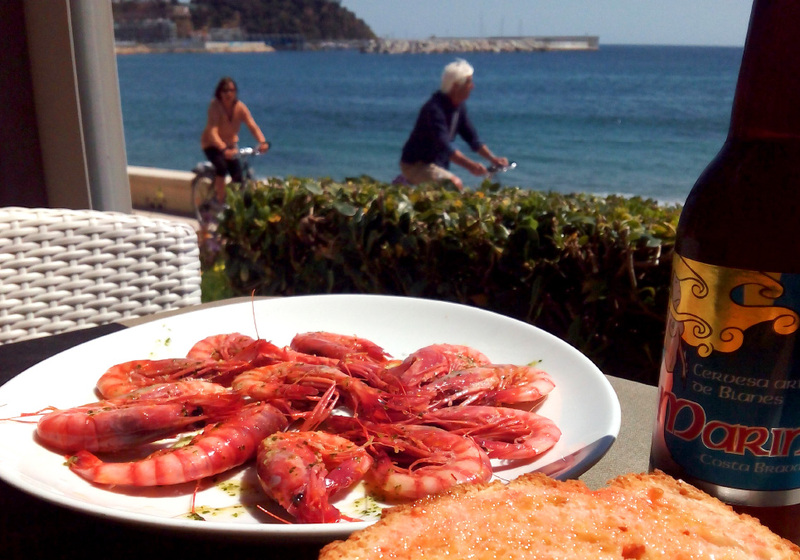 Discover the Mediterranean lifestyle of this historic and maritime city. 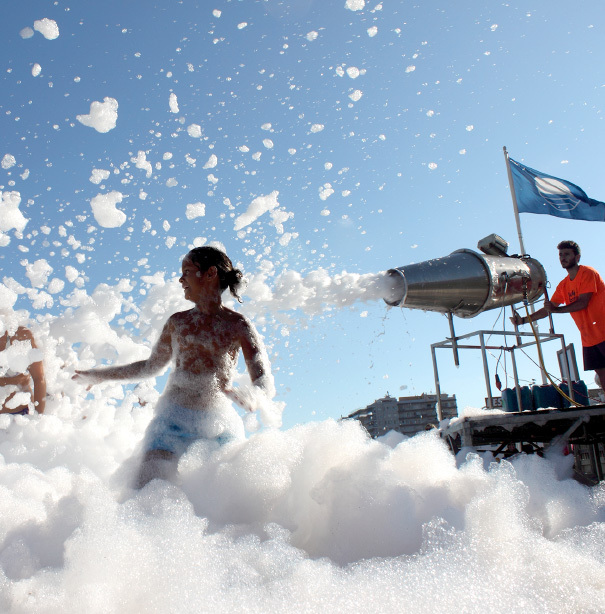 You can find a lot of places to have a great time, such as the beach, with water activities for children and life guard stations or the playgrounds located at the seaside promenade, one of the most famous places to jog, cycle or sit in a terrace to watch time tick by. There is a wide variety of activities available, so you only have to choose according to your preferences and tastes, but also trying to make your stay as unforgettable as possible. Beaches, Mediterranean gardens, sailing, active and water activities, bowling, go-kart racing, treasure-hunt games, ice-cream parlours, cinema, walking along the seaside, hiking, gastronomy, playgrounds… What else do you need? You can check scheduled activities for children on the agenda. You can enjoy the sea all year round in Blanes. 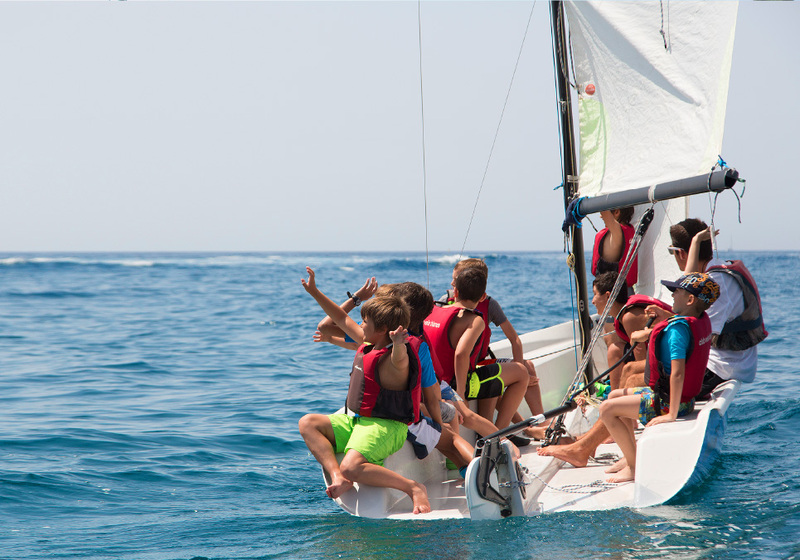 A wide variety of companies specialised in water activities, such as sailing, kayaking, stand up paddle boarding, windsurfing, diving, sport fishing or snorkel are available for all ages. Boat rentals with or without a license. Blanes is a unique active tourism destination, becoming the perfect setting to do outdoor sports. 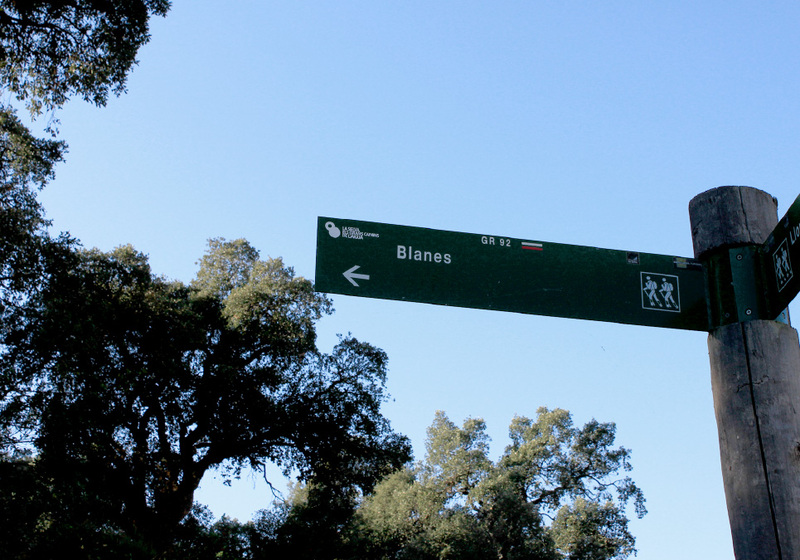 The city has several well-signposted routes to go running or Nordic walking as well as two Grans Camins de l’Aigua from 8 to 18 km. An eye-catching city to eat. 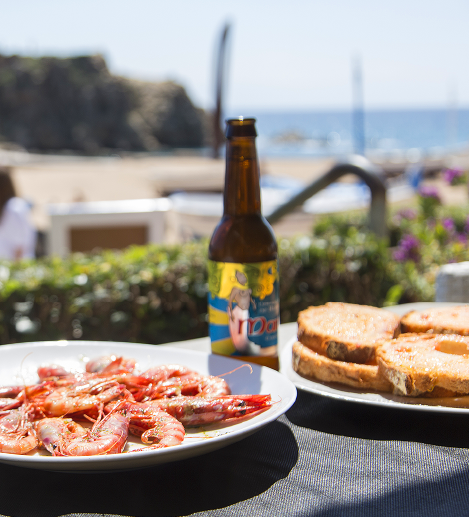 Vegetables, fruit, seafood, sweets, wine, champagne, craft beer…Blanes is a market normally held daily thanks to the fishermen and farmers (called pagesos) of the Tordera. The wide culinary offer of the city allows to appreciate our local and high-quality products. We always try to have dishes to all tastes. For this reason, we want that you enjoy a gluten free city. The commertial tradition of the city is one of the most well-know features. It is possible to choose between traditional local shops or large supermarkets. 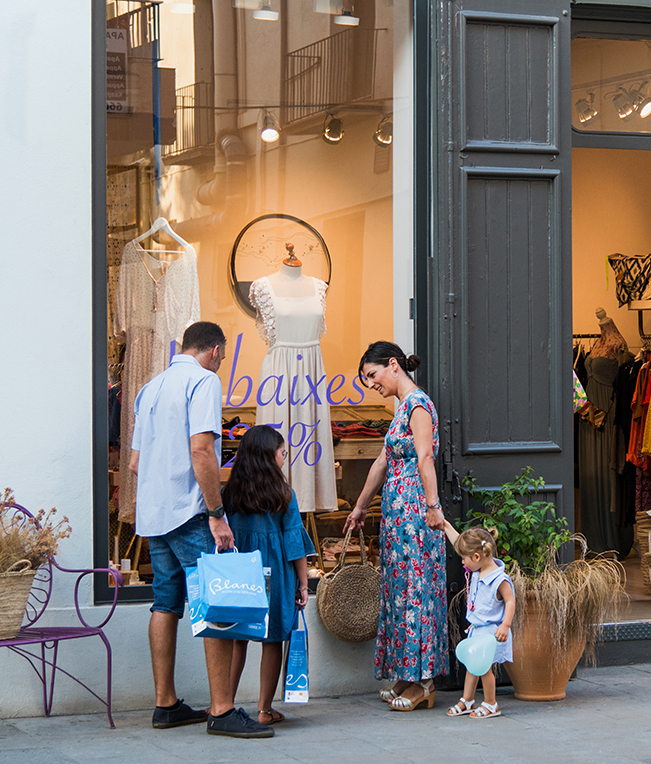 It is always a pleasure to go shopping with your family, so the centre of the city is always crowded, been also adapted for people with reduced mobility. We propose a treasure-hunt game. It is perfect for children between 8 and 12 years. This is a game to play with the family and spend a great time discovering the secrets of the city. 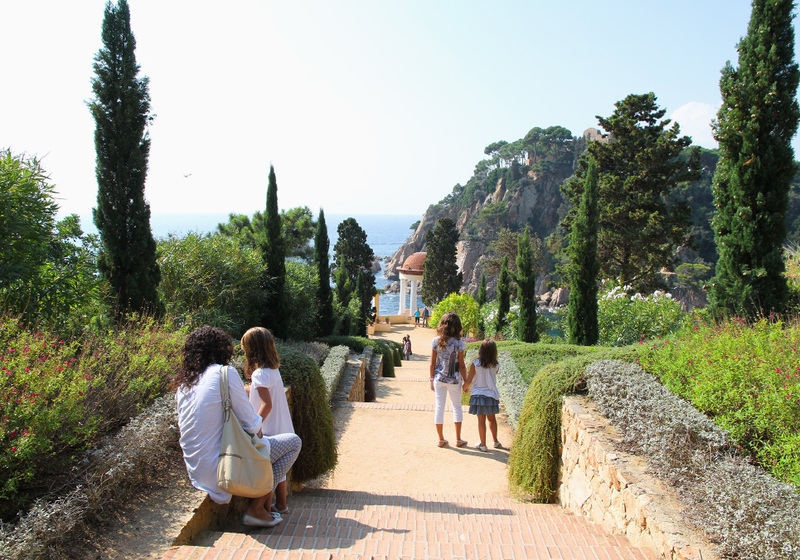 It consists of a small tour around the old city of Blanes in which you have to solve different enigmas. You will have a funny time while learning about the culture of our city. Reservation at tourism offices needed. 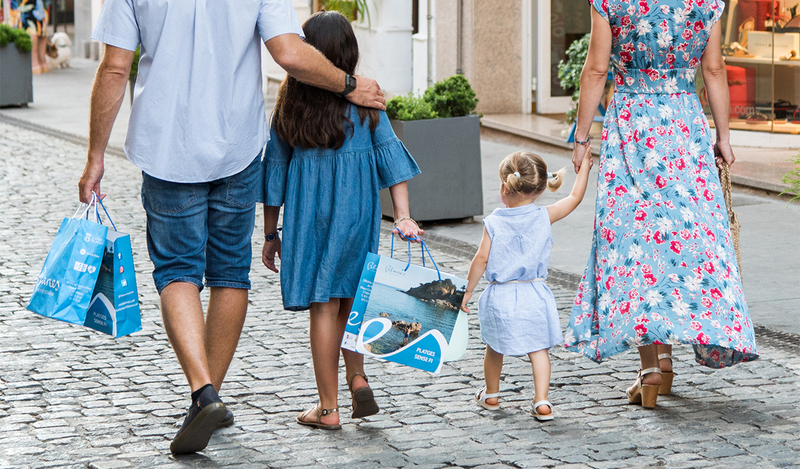 Blanes was the first coastal town to obtain the Family Tourism Destination Certificate, a brand of quality that recognizes the excellence of the prizewinner as a destination especially sensitive to family tourism.